Natural gas is often a secondary consideration when a well is first drilled and completed; the focus is more often on crude oil and other liquid hydrocarbons. However, there are wells that only or primarily produce natural gas. While gas wells may not require as many vessels or as much equipment, they do have some unique problems and there are important considerations to keep in mind. While natural gas is obviously the primary product of gas wells, liquid hydrocarbons and water may be produced as well. Water will often be suspended in the gas and have to be scrubbed out. The liquid hydrocarbons usually take the form of condensates or distillates. Condensate starts as a vapor, produced up through the well with the gas. The vapor condenses into a liquid at some point; this might happen as it’s being sent up the well, during processing, or perhaps even after the gas has been sold and sent through a pipeline. If the vapor condenses as it is leaving the well, the fluid will often fall back into the reservoir, with a negative impact on production. Condensate can be as clear as water. Distillate is actually a low weight liquid hydrocarbon that is evaporated into vapor and then condensed back into liquid. 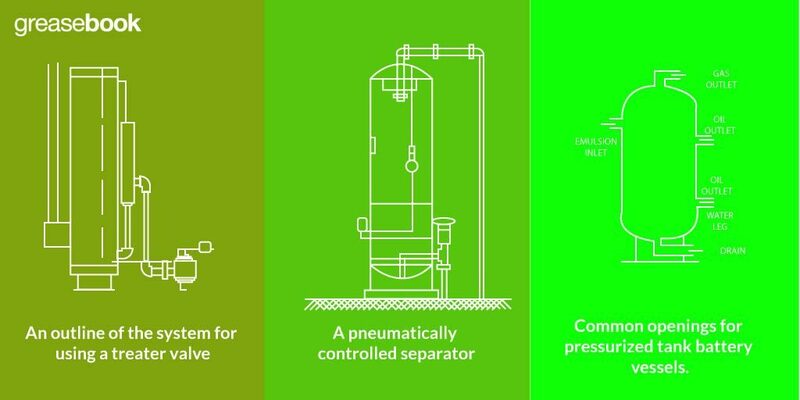 This process is called distillation, and it is a process for purifying hydrocarbons which is fairly common. Distillation usually produces a casing head gasoline or crude, but does not yield any heavier oil. Gas wells can be dangerous and difficult to control. As a result, they often have some specific and important safety measures in place. 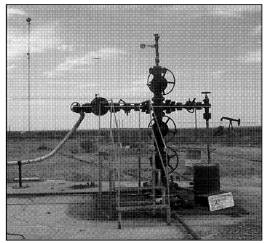 Wells with a higher gas production will usually have a wider range of safety devices; with marginal or low production gas wells, there may not be enough gas coming from the well to warrant that additional layer of safety. One of the more important safety measures are the well gates. Wellhead valves are sometimes referred to as gate valves, or simply gates. The name may refer to a style of valve that’s commonly used for this purpose, which uses a gate-like wedge or slab to cut off flow. A well will usually have two master gates. The upper master gate is used to shut in the well for testing or maintenance. A lower master gate is used as a backup if the upper master gate fails; the well can still be shut in while the upper gate is replaced or repaired. Figure 1. 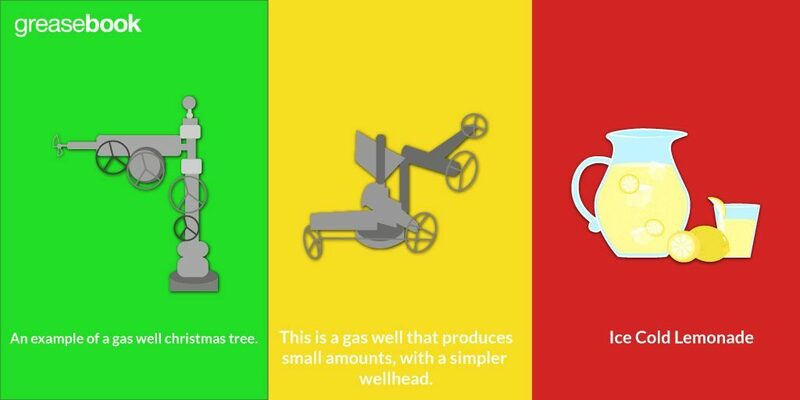 An example of a gas well christmas tree. Shown are the two master gates, the wing gate and a safety valve, and a variable choke. There are two other common safety valves that can be used to shut in a well in the event of a problem. The first is at the surface, usually near the high pressure separator. This valve will shut in the well if the pressure rises too high, or if it falls too low. Low pressure may mean a break or leak in a line, which leads to gas being vented to the air. High and rising pressure may mean that water vapor has condensed out of the gas and frozen, blocking the line. A safety valve is visible in both Figure 2 and 3. Figure 2. 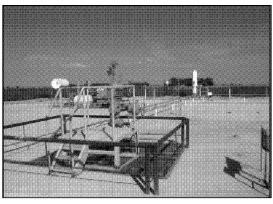 A lower production gas well. In the background a separator and a compressor are visible. Figure 3. This is a gas well that produces a higher volume, and so has a wider range of safety devices. The second safety valve is downhole, and is called the tubing safety valve. This valve will shut in the well if the line breaks and gas is being released into the atmosphere. 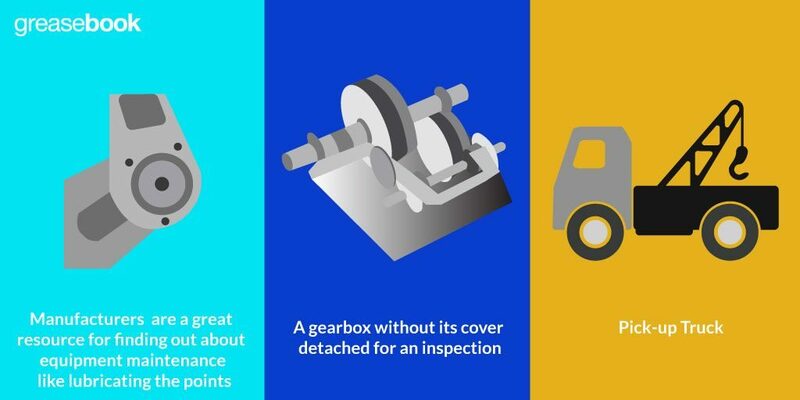 It’s rarely needed, but should be checked on a regular schedule to make sure it’s functioning. Most often, a contracted wireline company will set and retrieve these valves, and services them when needed. 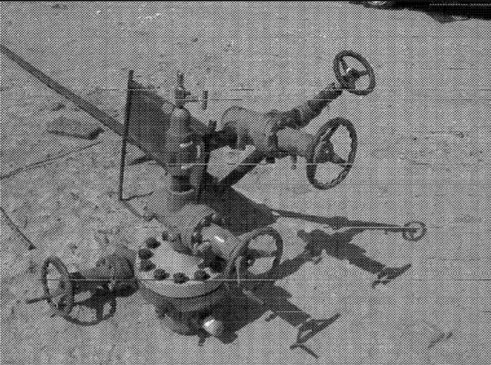 The tubing safety valve is most often seen with high production wells. With lower production wells, a valve that is hydraulically opened can be installed. If the pressure falls, the well is automatically shut in without needing the tubing valve. That’s a system that’s more common in offshore wells. In some cases, the additional safety measures aren’t built into the christmas tree, as the production volume is too low to require them. Figure 4. 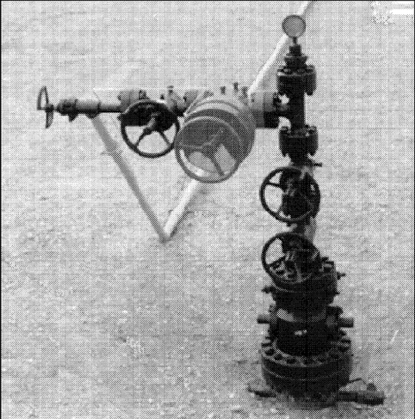 This is a gas well that produces small amounts, with a simpler wellhead. All wells have a unique personality, with a different production volume and profile. Gas wells may produce small amounts, less than 100,000 ft, 3 in a day, or much larger volumes of millions of cubic feet a day. The amounts and ratios of water, condensate, distillate and other products will also vary from well to well. 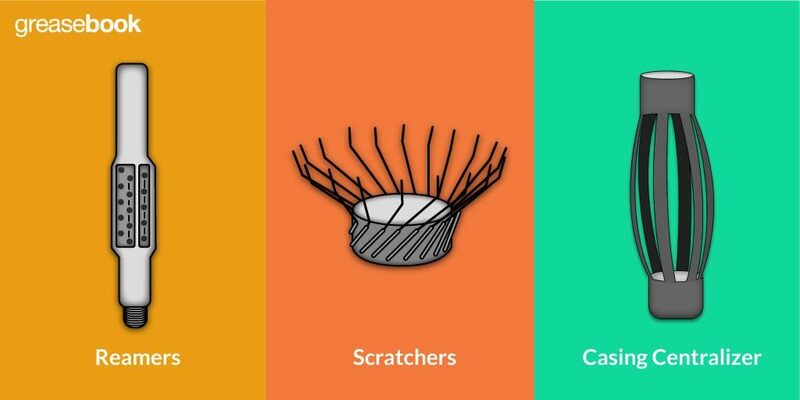 That means that the equipment needed to produce the well is also going to vary to meet the specific needs of each well. The gas will be accepted by the purchasing company and usually sent through a pipeline. The purchasing company may not always accept produced gas. If there isn’t a market for gas at that moment, they will be reluctant to pay for new production. The purchasing company may send a representative around to shut in the well if they’re not buying gas or if there’s an emergency. The gas company may not buy gas for a longer period, meaning the well is shut in and not earning for that whole length of time. 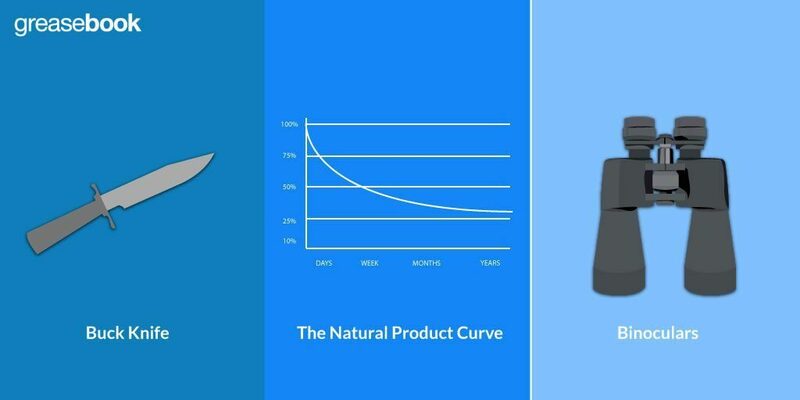 This is much less likely when the well is also producing crude oil, so producing both when possible is usually a more stable, and therefore preferable, option.